The European Union faces a troubled year. The outcome of the European Parliament elections in May could define the path of Europe’s development for the next decade and its ultimate destiny. Two months ago, Europe commemorated the 100th anniversary of the armistice that ended the World War I. The mass slaughter that engulfed the continent in the four years prior to November 11, 1918 was the result of the failure of a system that had preserved a degree of stability over the preceding century based on a balance of power between France, Britain, Germany, Austro-Hungary and Russia. The system destroyed by the Great War was only the latest of many mechanisms designed to manage a Europe that had collapsed, usually violently, over the preceding 2,000 years. That litany of blood is a reminder that Europe has always been an unstable multi-ethnic region, criss-crossed by fault lines that lie just beneath the surface. Seen through this prism, the European Union – the product of a series of treaties between an ever-expanding number of countries – is the most recent attempt to find a solution to a timeless problem. For all its faults, this system has, some claim, to be one of the most successful. It has provided an answer to the core challenge of Europe, allowing small states, such as Malta, Cyprus and Luxembourg, to co-exist alongside big ones, balancing the demands of national sovereignty with the realities of mutual inter-dependence. It has blurred the borders that have been the source of so much of Europe’s troubles by devising common rules for frictionless trade and free movement of people, creating the space for multiple identities that have subsumed ancient ethnic rivalries. Those who doubt the role of the EU as an agent of peace need only look at the tensions that have returned to Anglo-Irish relations since the Brexit referendum to see how much is often taken for granted. But, as we enter 2019, the EU is being tested in a way that it has never been before. A decade of crises starting with the financial crash in 2008, ranging from Eurozone debt to the migration emergency and the rise of right-wing populist parties that challenge common values, have highlighted the folly of embarking on an incomplete monetary union and the democratic deficit and disconnect between Brussels and EU citizens. A stand-off between Brussels and Rome over Italy’s draft budget could still threaten to re-ignite the eurozone debt crisis. Member states remain bitterly divided over asylum policy. Right-wing populist parties are emerging in virtually every part of Europe. The forthcoming Euro-parliamentary elections will give the first indication of what may lie ahead. As the book, The Revolt Against Liberal Democracies by Roger Eatwell and Matthew Goodwin puts it, national populism, which “gives priority to the culture and interests of the nation, and promises to give voice to people who feel they have been neglected… by distant and often corrupt elites” has led many voters to feel there is a class culture gap between them and the parties of the centre-left and centre-right that once purported to represent their interests. It is increasingly unclear whether the EU is still institutionally capable of finding common solutions to these common problems. Meanwhile, it is also confronted by new external challenges to which it is ill-equipped to respond. Relations with Russia and Turkey are strained. There is instability on its southern and eastern borders in the failed states of Syria and Libya, and in Ukraine and the Balkans. Moreover, President Donald Trump has called into question the US’s vital commitment to Europe’s security and to the global rule-based trading system. Clearly, there are multiple ways in which the EU might yet fail. Yet, thus far it has shown a resilience and ability to adapt, bearing out ‘Father of Europe’ Jean Monnet’s dictum that Europe will be “forged through crises”. The traditional response of EU enthusiasts to such challenges is to press for a bold leap towards closer union. They argue that the euro needs this if it is to succeed. Equally, they say, more power ought to shift to Brussels (the so-called centre) to ensure the EU speaks with one loud voice to the likes of Trump and Putin. But the evidence is that neither European voters nor their elected governments want this. If anything, public opinion favours the reverse. If ever closer union is not possible, another Brussels tradition is simply to muddle through. But it would be utterly complacent to suppose that the euro crisis is past its worst, or that immigration has peaked. The underlying threats remain. Muddling through is no longer an option and carries risks of its own. 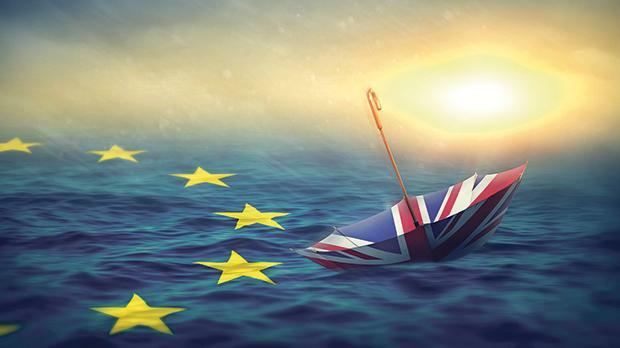 A renewed financial crisis that upset the euro, or the election of another government committed to a referendum on leaving the EU or euro membership could tear the Union apart. Is there a better way? Europe’s future hinges on the ability of its leaders to tackle overdue reform. The conventional wisdom is that the EU only functions properly when the Franco-German engine is purring. Today it appears to be spluttering. Chancellor Angela Merkel’s political decline and imminent demise, combined with President Emmanuel Macron’s weakness amid a growing domestic crisis only serve to fuel concerns about the outlook for the EU. No one knows what to put in place. The answer may be to pursue more formally than now an idea which President Macron has flirted with from time to time. This envisages an EU that is far more flexible and broader: a “multi-tier” Europe. The core of Europe will be those countries that share the single currency. To solve the euro’s present ills, they need more integration and shared institutions. The next tier would comprise a looser group than now of EU members that are not ready to accept the sacrifice of sovereignty needed to join the euro. Beyond that, a multi-tier Europe should also accommodate widely differing countries in a third, outer tier: countries like Norway or Switzerland that may wish to be closely bound to the single market.